Yes, all Ecobee thermostats work with Alexa, including the ecobee 4, ecobee 3 and ecobee 3 lite. We teach you how to connect your ecobee thermostat to alexa below. When you connect your ecobee to alexa it will allow you to control your ecobee thermostat with voice commands. It’s truly luxurious to be laying in bed and tell alexa to turn up the heat from your bed on a cold winter day or turn up the AC in the blistering heat of summer. I’ve had my smart thermostat connected to alexa for years and use voice commands to control my heating and cooling for maximum comfort everyday. 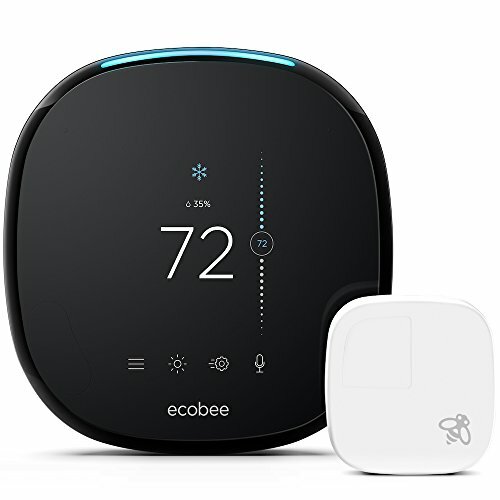 We love the ecobee 4 thermostat because it is one of the most advanced smart thermostats on the market and it includes a room temperature sensor with the initial purchase which is an extra add on for the competing nest thermostat. Ecobee 4 allows you to control your thermostat from your phone, set schedules, use the auto away feature to save money and remotely monitor the temperature of other rooms through it’s temperature sensor. But the most advanced feature of the ecobee 4 is that has amazon alexa built in. The ecobee 4 has an amazon alexa speaker and microphone directly built into the thermostat. This means that you can use amazon alexa voice commands to control your ecobee 4 thermostat without even needing another alexa device if you are in the same room. It still allows alexa voice command control through any other alexa device but the built in alexa functionality is what really sets the ecobee 4 apart from the other ecobee thermostats in the lineup. What Alexa Devices Work With Ecobee? All amazon echo alexa devices will work with any of the ecobee thermostats. 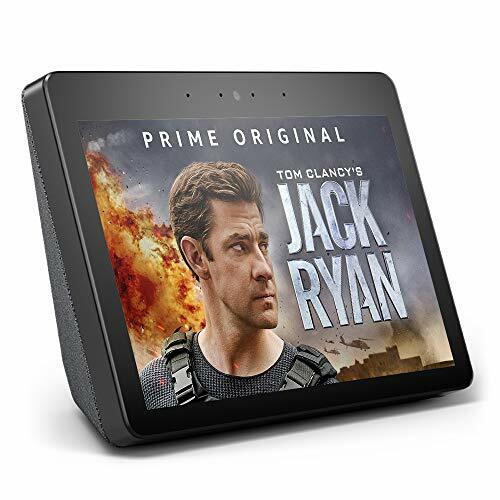 We love the echo show with it’s 10” screen and premium sound, but if your on a budget the echo dot is a great value that will add voice control functionality to your ecobee thermostat. Does Ecobee Work With Alexa? Yes, follow the arrows above to setup your ecobee with Alexa. IMPORTANT: Choose the ecobee plus skill as it has the most features that work with Alexa. 1. Set up and install your ecobee thermostat on the ecobee app. 4. Search “ecobee” in the skills tab, and click enable on the “ecobee plus skill”. There are two ecobee skills that show up, you should choose the ecobee plus skill as it has more commands and functionality than the original ecobee skill. 5. Login in to your ecobee account. The ecobee thermostat will then change temperature to requested. Changes ecobee thermostat to heating mode. Changes ecobee thermostat to cooling mode. Changes ecobee thermostat to auto mode to save energy. Alexa will respond by telling you what temperature your ecobee thermostat is set too. The ecobee 3 lite has many of the same features as both the ecobee 3 but the main difference is that the ecobee lite is not compatible with as many different types of heating and cooling systems as the ecobee 3 or ecobee 4. If you have just a standard HVAC Furnace with an air conditioner the ecobee 3 will work fine but if you want to connect humidifiers or dehumidifiers for control with the ecobee you will need to use the higher end ecobee 3 or ecobee 4. Do you want a cover plate for your ecobee thermostat to match your decor?